I offer you the greetings of all innocent prisoners. 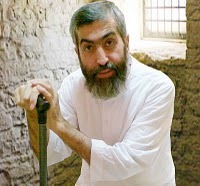 I considered writing you a personal letter but I realized that over my years of imprisonment, the personal letters that I wrote to the authorities of the regime was fodder for them to further persecute me. Hence I have chosen to write you in an open forum, where my words can be registered on the pages of Iranian contemporary history, and for it to be observed by many, in years to come. Sir, you are now in charge of a governmental branch, a ministry, and I who in detention, await death, have become a part of a long registry of those who have withstood the crimes of the deputies and agents who are a part of your department. If you are angling to join the ranks of the unnamed soldiers of the Hidden Imam, then you must adhere to their unholy mess. The proof and documentation of my activities in the name of faith exist in several volumes of books that I have penned, which exist in video and CD format. Also my prayer meetings were never held in secret, but in large sports stadiums, leaving room for absolutely nothing to be either questionable, or dubious. However the security and intelligence agents of your ministry have gone to great lengths to level false charges against me, and to frame me for such imaginary crimes, that they have managed to create a situation where I have been dragged into the realm of politics, where I have become a global topic and I have been blamed for bashing the regime. This therefore, lead two special interrogators who were assigned to my case to tell me that for an entire year your ministry had instructed them to have an open confrontation with me, yet they had given no real reason. Fellow compatriot, the newspapers report that you are considering reforming the ministry that you are heading up and even though God wishes are always blessed, you are up against a larger, hidden force which will not allow you to succeed in making those reforms. The attacks on my family and supporters began during the time when the ministry you are currently in charge of, was being run by Mohseni-Ejehii who personally ordered the vicious beating of my six month old grandchild in front of his mother, in order for her to confess the extent of the relationship and support my family received from George W. Bush! They tortured my poor elderly mother so much so that she began to bleed from head to toe, and finally lost her life in one of the many hospitals she referred to for treatment. The authorities did not even allow a wake and a funeral to be held for her. My father also, was one of the most learned scholars of our country, and he was buried in the Khorassan Square Mosque; his grave too was desecrated. Approximately five hundred of my friends and supporters who were arrested at the same time I was, man, woman, child, young and old were also so badly tortured, that some lost their lives and the others who served time in prison, fled the country once they were able to set bail. As a descendent of the prophet and given all my services to our faith and communion, they continue to insist on discrediting and destroying me. In closing, I pray to the God Almighty for the wellbeing and righteousness of all those who serve our country and our good people.